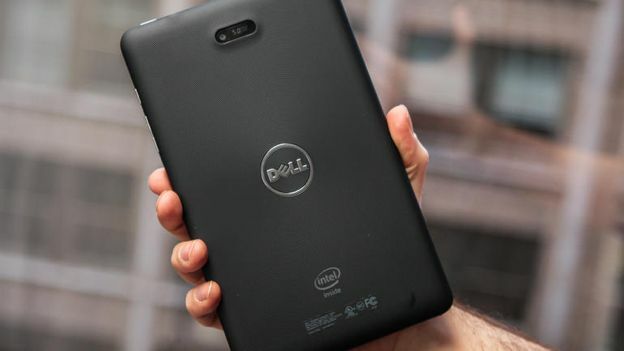 Dell looks all set to bring a “real desktop experience” to a new version of its popular Venue 8 Pro tablet. German tech site Giga.de carries various screenshots of the new Dell Venue 8 Pro 5000 that show a range of new features impressively packed into a tablet possessing just 8-inches of display real estate. The show is powered by an Intel Atom x5-Z8500 chip that is supplemented by 4GB of RAM and it is a slate that comes with the USB Type-C port that is currently in vogue with releases across the computing sector. Leaked shots also show the tablet is getting a high resolution 1,920 x 1,200 full HD display, compatible with Miracast and there is the option to add 3D depth camera technology that opens up Windows Hello possibilities. The final point ties in with the “real desktop experience” dock that will have a USB Type-C port and dual-display connectivity to take full advantage of the Windows 10 Continuum experience to seamlessly move between tablet and desktop modes. Whilst this won't be worrying the Microsoft Surface Pro 3's and Apple iPad Pro's of the world, it is likely to appeal to a consumer looking for a more affordable option when it gets its expected release in November.